: we now support a format that allows you to publicly specify your preferred version of a URL. If your site has identical or vastly similar content that's accessible through multiple URLs, this format provides you with more control over the URL returned in search results. It also helps to make sure that properties such as link popularity are consolidated to your preferred version. 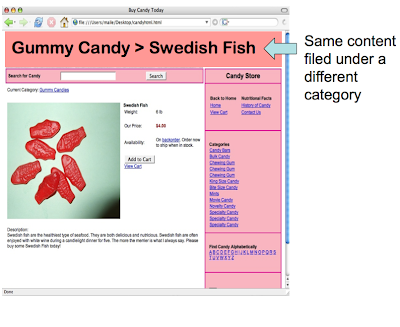 and Google will understand that the duplicates all refer to the canonical URL: http://www.example.com/product.php?item=swedish-fish. Additional URL properties, like PageRank and related signals, are transferred as well. This standard can be adopted by any search engine when crawling and indexing your site. Is rel="canonical" a hint or a directive? It's a hint that we honor strongly. We'll take your preference into account, in conjunction with other signals, when calculating the most relevant page to display in search results. 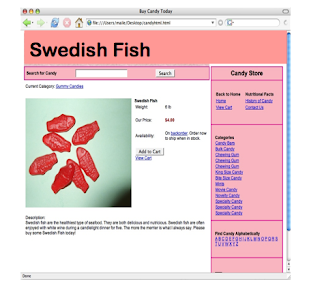 Can I use a relative path to specify the canonical, such as <link rel="canonical" href="product.php?item=swedish-fish" />? Yes, relative paths are recognized as expected with the <link> tag. Also, if you include a <base> link in your document, relative paths will resolve according to the base URL. We allow slight differences, e.g., in the sort order of a table of products. We also recognize that we may crawl the canonical and the duplicate pages at different points in time, so we may occasionally see different versions of your content. All of that is okay with us. What if the rel="canonical" returns a 404? We'll continue to index your content and use a heuristic to find a canonical, but we recommend that you specify existent URLs as canonicals. What if the rel="canonical" hasn't yet been indexed? Like all public content on the web, we strive to discover and crawl a designated canonical URL quickly. As soon as we index it, we'll immediately reconsider the rel="canonical" hint. Can rel="canonical" be a redirect? Yes, you can specify a URL that redirects as a canonical URL. Google will then process the redirect as usual and try to index it. What if I have contradictory rel="canonical" designations? Our algorithm is lenient: We can follow canonical chains, but we strongly recommend that you update links to point to a single canonical page to ensure optimal canonicalization results. No. To migrate to a completely different domain, permanent (301) redirects are more appropriate. Google currently will take canonicalization suggestions into account across subdomains (or within a domain), but not across domains. So site owners can suggest www.example.com vs. example.com vs. help.example.com, but not example.com vs. example-widgets.com. Sounds great—can I see a live example? Yes, wikia.com helped us as a trusted tester. For example, you'll notice that the source code on the URL http://starwars.wikia.com/wiki/Nelvana_Limited specifies its rel="canonical" as: http://starwars.wikia.com/wiki/Nelvana. Feel free to ask additional questions in our comments below. And if you're unable to implement a canonical designation link, no worries; we'll still do our best to select a preferred version of your duplicate content URLs, and transfer linking properties, just as we did before. Update: this link-tag is currently also supported by Ask.com, Microsoft Live Search and Yahoo!. Update: for more information, please see our Help Center articles on canonicalization and rel=canonical. Carpe diem on any duplicate content worries: we now support a format that allows you to publicly specify your preferred version of a URL. If your site has identical or vastly similar content that's accessible through multiple URLs, this format provides you with more control over the URL returned in search results. It also helps to make sure that properties such as link popularity are consolidated to your preferred version.